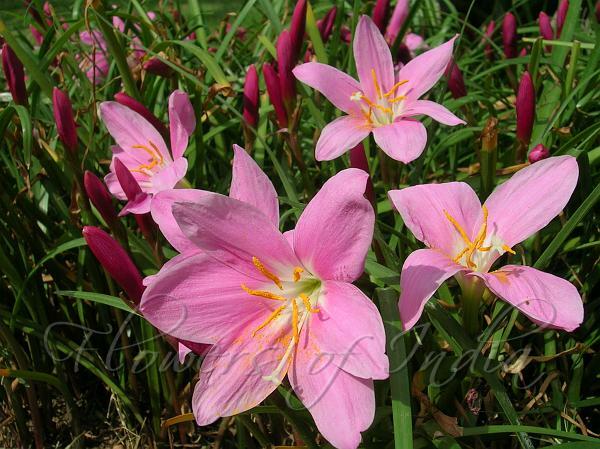 A native of Mexico, Pink Rain Lily is a bulbous plant, quite common in the cultivated areas of the Himalayas. It is also a popular house plant. It bears linear, hollow, strap-shaped or grass-like leaves. The solitary flowers consisting of 6 pointed petals, borne on a short scape are delicate and flourish throughout the rainy season, especially after heavy showers. A good garden soil is suitable and a sunny or semi-shady environment. 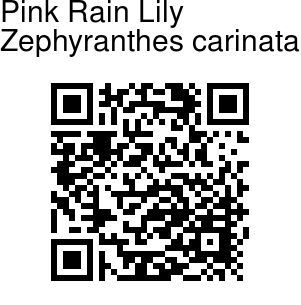 It is suitable for planting in pots, beds and clumps. An exceedingly delightful effect can be produced by planting the various species in the grass. The splashing arrays of flowers in different hues looks fascinating. It is useful as a border plant in front of the shrubberies and can decorate windows when in shallow pots or bowls. The propagation is by bulbs. Photographed in Delhi & Mussoorie.